Living alone can be a scary and unknown territory, especially if you’re doing it for the first time. Every strange creek of the floorboards or flicker of light outside can cause you to freak out internally, just a little bit. Whether you’re looking to improve your home protection or you simply want to feel a tiny bit safer when you’re home alone, there are many things you can do to put your mind at ease. You deserve to feel comfortable and secure in your own home instead of panicking about the unknown. 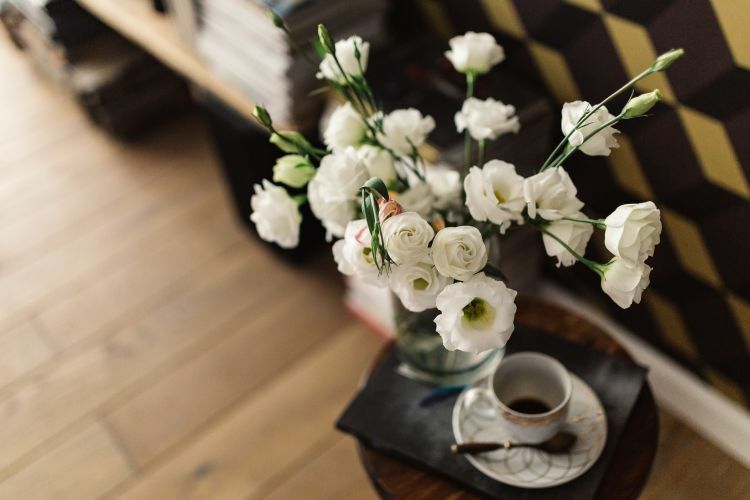 Consider these five ways to feel more relaxed and safe in your home environment and you will soon have nothing to worry about. When you live on your own you need to make sure that all of your windows and doors are very secure. You will never feel safe if your garage door is always slightly ajar or one of your windows doesn’t quite close properly. Look into local garage door repair and you will soon be able to put your mind at ease. Instead of worrying about that faulty door or window you will soon be able to sleep easy. If you have a security system that links up to your phone, you will always be able to check for movement whether you’re upstairs or out of the house. It will make you feel a lot calmer knowing that your home is safe at all hours of the day. Whether you’re going to bed or leaving the house for the evening, you should always leave small lamp on in your home. This will not only warn of intruders, but it will also take a little weight off your shoulders. When it looks like somebody is at home, trespassers will be less likely to risk it by breaking in or disturbing your peace. When you live alone it is really important to lock your doors so that you feel super safe at night. Although this seems like a simple idea, many people who live on their own don’t realize how important it is. Keep your keys in the door and double lock it if you can. Don’t forget to lock all windows and the back door too. If you’re ever feeling especially uncomfortable in your own home, then why not invite your friend over? Having a bit of company will take your mind off feeling alone or scared. You can catch up, have a glass of wine or watch a movie; in no time you will be able to forget that you were ever scared to be at home on your own. Living alone for the first time is a daunting prospect, but you shouldn’t let your fears get in the way of you pursuing something you really want to do. Having that independence will serve you greatly in the future, so make these small changes now and you will feel instantly more content. Home Protection 101 – What Do You Need To Guard Against? I’m sure that like me, you consider your home your personal pride and joy. 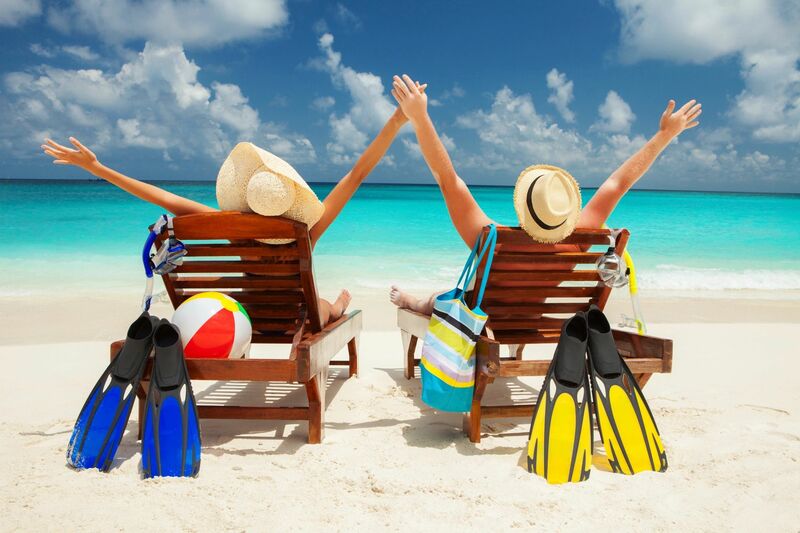 It’s your own haven where you can relax with your family away from the stresses and worries of the outside world. 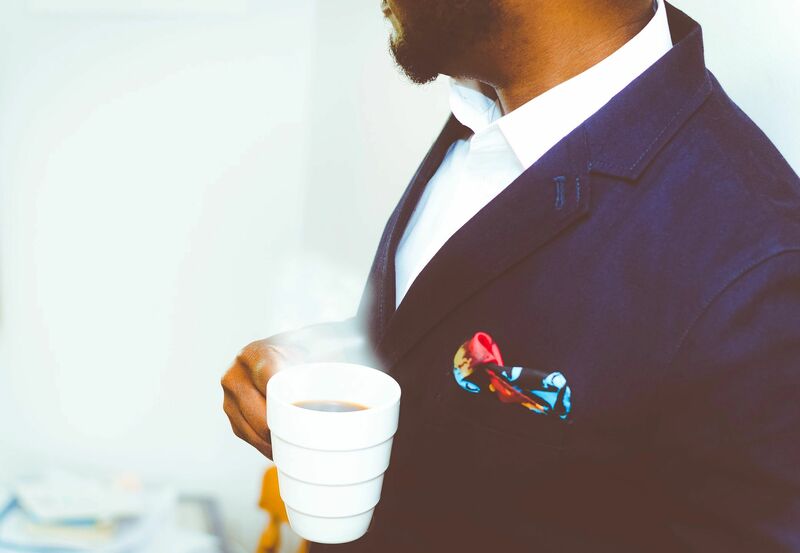 Plus, more often than not, it is a work-free zone where you can forget about your troubles in the office as soon as you walk through the door. 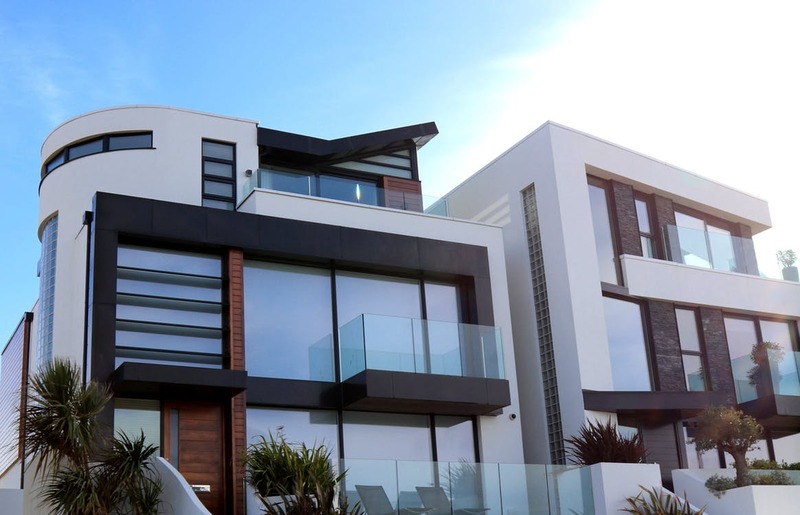 As our homes are so important to us, there’s no wonder that so many of us want to ensure that our property is well protected against any threats that could cost our own security or cause damage that is extremely expensive to repair. Are you happy that your home is well protected? There are a few different things that all homeowners need to put into place to ensure peace of mind when it comes to their property. Read on to find out more. Add a burglar alarm. First of all, it’s worth adding a burglar alarm to your home if you don’t already have one. Whenever you leave, you can set the alarm. Then if it detects any movement, it will go off. This should then scare the intruders and it might also alert your neighbors who can always wander around the property to make sure everything is ok. Install CCTV cameras. CCTV cameras can act as a deterrent. As soon as a potential burglar spots them, there is no way they will want to risk getting any closer to your property or else they’ll face being caught in the act. If someone does break in, then at least you can take the CCTV footage to the police to use as evidence. Remove valuables from sight. Of course, if a burglar can’t spot anything of any value in your home, there is a lot less chance of them trying to break in in the first place. So, make sure that anything expensive and valuable is hidden from sight. It’s also worth closing your curtains when you leave your home so that no one can peek through the window and see large electrical items, such as your TV or washing machine. Keep your home clean. One of the best ways to keep the pests at bay is to ensure that your home is always as clean as possible. If your home isn’t quite as clean as it should be, there could be crumbs all over that attract pests and vermin inside. So, make be sure to clean up regularly and remove any possible food sources. Fix any leaks. Similarly, you need to remove any sources of water that pests and vermin might be drinking. To do this, you simply need to make sure all of your kitchen and bathroom pipes are tight and that there are no leakages at all. Water could drip from these and gather in small puddles, which makes it easier for pests to survive. Take out your garbage regularly. Did you know that your garbage is a great food source for pests? It’s true! And that’s especially the case in the summer. All of the food and leftovers in the garbage will start to decompose quicker and the pungent smell could attract a lot of mice, rats, and bugs. So, be sure to take your garbage out as often as you can. Find a local pest exterminator. It’s always a good idea to know the name and contact details of a local pest exterminator who can help you in the event that you do ever find some pesky pests in your home. This is especially important if you ever find any dangerous animals in your home as some exterminators now offer pest control snakes now as well. Unfortunately, we aren’t able to control the weather and so your home could be at risk from suffering some very dangerous weather damage. This is especially the case during a bad storm when the wind and rain will be beating the property. Thankfully, there is plenty that can be done to protect your home from this kind of damage. Maintain Roof Shingles. Keeping an eye on your property’s roof is very important as this will give you the chance to spot any broken or missing shingles. It’s crucial that you fix and replace these as soon as you can. If you don’t, then they will probably end up falling off during a bad storm, and that will increase the chance of your roof leaking. Trim Back Trees. If you have any trees in your garden that are quite close to the main property, it’s necessary to trim these back. That way, there is no risk of the branches causing any damage to the windows of your house during high winds. Don’t worry if you don’t want to trim the branches yourself, you could always hire a professional gardener to take care of this for you. Keep Gutters Cleaned Out. When was the last time you cleaned out your gutters? If you can’t remember, it’s probably time to do it right now. Unclean gutters are prone to blockages. Those blockages won’t allow rainwater to flow through and down the drain. 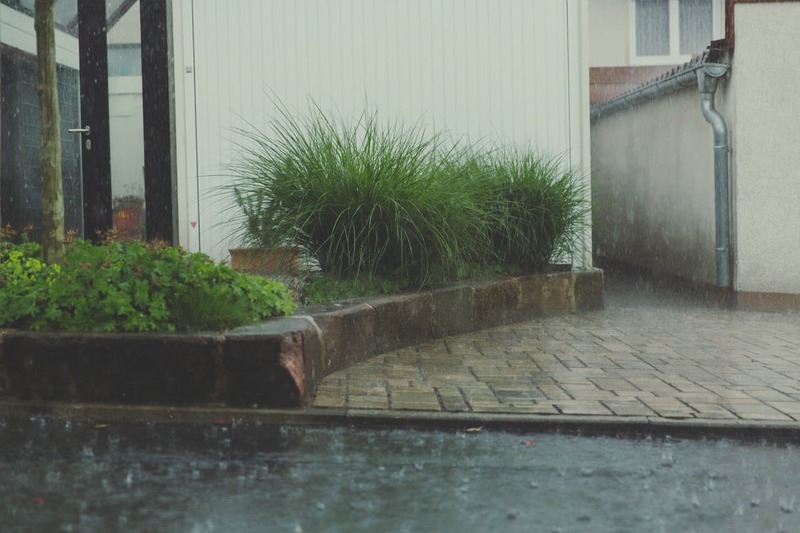 This will result in water running down the wall of your home which could cause significant water damage to the property. So, now you know what to protect your home against! 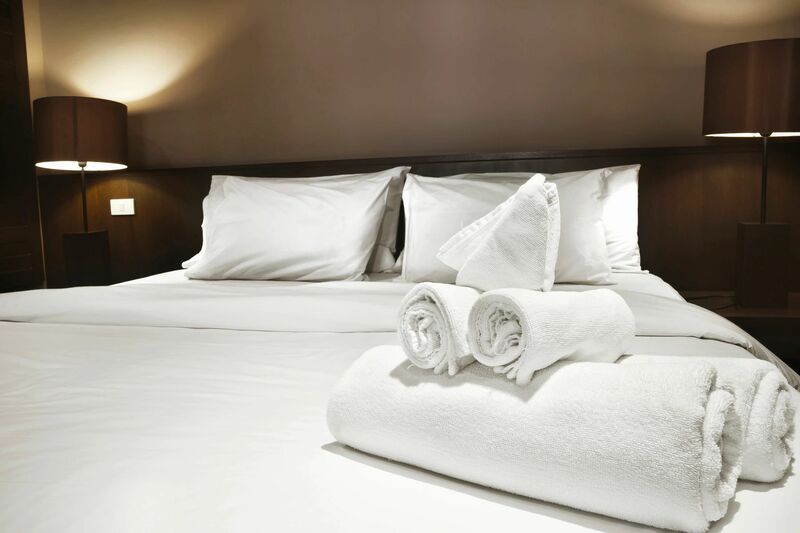 Why you should check for Hidden Cameras in your Hotel Room? You are at risk wherever you go these days. No place is secure unless you are alert to risks that happen in any country you visit. Naturally, with boom in the electronic consumption worldwide you cannot assume that you are safe and has a space of your own for there are equally rogue humans who would love to break your privacy with hidden cameras. A good shot of your body in the bed or in the bathroom may be enough to cheat on you unknowingly. So, knowing a little bit of cameras and those that hotels hide in your room would go a long way of assuring you a hassle-free stay. There are numerous kinds of cameras that can be hidden with ease in any hotel room and many of them are so small that it can be difficult to spot them. I highly recommend you to check the complete article from SCR.COM that explain you How To Detect Hidden Cameras In A Hotel Room. However, you must know, unless there is a something big at stake for spying on you, no hotels would like to compromise on their goodwill. Therefore, you will need to understand that it is the staff or another visitor to the hotel who would be doing this mostly. Naturally, they wouldn’t be investing a huge amount of money on this as they only after some fun. Hence, you needn’t worry about very tiny highly sensitive and sophisticated cameras, but only those that you may be able to spot with a thorough search. If you want to spot the hidden camera then you ought to train your eyes to search thoroughly. This means inch by inch screening of the whole room and the bathroom. Look at places like the shelves, wall decors, electrical sockets, mirrors, indoor plants, tissue boxes, shower, toys, DVD cases, table lamps and any other places that you suspect may be quite easy for a camera to be hidden. If you have not spotted a camera then you must take your search to the next level. This is done during the evening. First you draw your curtains and then switch off the lights. Then look around for any light sources or any other source that reflects your own tiny torch lights. Remember to maintain pin-drop silence while you are doing this. Most cameras give out a tiny buzzing sound while many would give out some tiny streak of light which you may be able to detect in the dark. You may also detect a source which reflects your own torch lights as most cameras have lenses. Again, there are some places in the room where you may detect unusual wiring or adapter settings and power outlets then be warned that there may be some kind of object hidden somewhere in the room. Apart from the above, you may use your own mobile phone for detecting spy cameras in your hotel room. If you are using iOS or Android then you may download an application straight from the web. Lastly, you may still be able to detect the undetectable camera if you call one of your friends or family members and walk around the room. If there is a camera anywhere then there will be interruption in the frequency levels. Further, the cameras have become quite cheap with prices going downwards due to both competition as well as breakthrough technologies. It is generally seen that there are surveillance cameras for any purpose although you may have to look for cost factor too. To make things easier, if you wish to purchase a good video surveillance system then you may need to go for IP technology, which is proven to be better than the Analog HD types. With prices already low you may purchase one of these if your intention is to monitor movements of people in your home or a few square feet of office space. Just don’t go for cheaper system as this is a life time investment for many. The main reason for purchasing IP technology video surveillance camera is because it is standalone equipment and has its own web server to process all the video it streams. Again, an IP with ONVIF compatible would be better as it works under the specification of global open industry standards. Your video surveillance camera would be your best investment for the future. Remember, that each requirement vary and so would the camera too. In fact, you may need the same for specific purposes. For instance, IP system is computers related and hence is generally more flexible. These again come under two different types of classifications. The first one POE camera has a POE switch provided on it and therefore there is no need for additional power supply wiring. Non-POE would mean which is the other one would mean that you need to have a separate 12V direct current. If you need a camera for your business then choose the former type. It may be anything from monitoring your children to give extra protection for the family or checking on your inventories. Most urban and non-urban dwellers and businessmen have developed a fascination for video surveillance camera. By installing such a system at your home or office you ward of any possible future dangers. You may even make genuine contribution to work and lessen idle time as employees would know that a spy is up there checking on them. There is no specific place for placing your secret camera. You may choose to place them on your plant pots or on shelves, between books or even among stuffed toys. However, these are smaller compatible devices, but for more accurate video surveillance you may need to choose a good camera that has IP technology. This may be place on top of the ventilator or above the door. For outdoor purpose and if the area of the indoors that you wish to monitor is large enough then you may choose PTZ or Pan-Tilt-Zoom camera with 360 degree radius. They are very good although slightly expensive. Which are the best Burglar Deterrents that Works? Due to ever increasing thefts in modern times there has appeared numerous ways to create effective deterrents both by the public as well as by the manufacturers. As technology is being skillfully used by the burglars and other criminals, it is natural for the manufacturers to keep themselves ahead of the game by updating their products. In fact, you often see unique locking systems for doors, safes and interior fittings and other ensembles where valuables are kept. Not in least are the uses of alarms, manual and artificial theft deterrents. Yet, the fact of the matter is that whatever be the nature of the system, both hand made or factory made, you cannot beat the new revolution in burglar deterrent equipment. These are the new batches of IP camera surveillance system that drives technology to its very edge. .
Perhaps, over a period of time you may find that there is hardly any house in your area where one or the other kind of camera surveillance system is not in place. You will find that video surveillance camera system is the best as it offers you a wide range to choose from as per your needs. Since, IP system is connected with the internet you may watch your camera video shots from anywhere where there is internet connection. 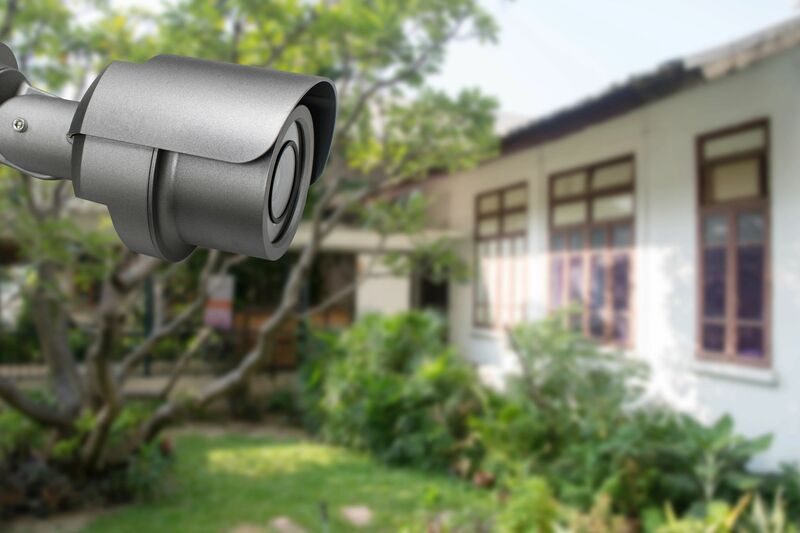 If you prefer one for outside your home, then you may purchase a vandal proof video camera like the Funlux Camera, or even the slightly costlier Pan-Tilt-Zoom (PTZ) video surveillance system. You may get the video streaming done with an IP camera with actual date and time so that you may use it as evidence at the police station. For further information and for your specific requirement you may browse for the same from one of the online stores. Further, you may use several cameras positioned indoors and outside so that the stream of video shots could be watched from a single computer. Self-confidence is a big deal. The more of it you have, the more likely you are to realise your full potential in any area of life, ranging from your professional life, to your social life, and even your gym-life. Peace of mind, a related concept to self-confidence, is all about your ability to feel comfortable that things are the way they should be, and that you don’t have to worry about any dramatic upheavals or avoidable crises. Typically, when people are talking about ways to improve your self-confidence and your peace of mind, they’ll be referring to purely psychological techniques. They may, for example, advise you to look into signing up for some sessions in Cognitive Behavioural Therapy – CBT – with a therapist. As it so happens, however, your peace of mind isn’t always being held back purely because of a negative mindset on your part. Sometimes, you may have genuine cause for concern when it comes to your home and immediate environment. Here are three ways that upgrading your home with tech can help to improve your peace of mind. The world isn’t quite as safe as we might like it to be, and even those of us who live in relatively safe and stable societies, still need to be mindful of basic security concerns, and to watch our backs. Home invasions are one of the most terrifying prospects for many of us – the idea that someone violate the inner sanctum that our home is supposed to represent, and possibly do great harm to us or our loved ones. 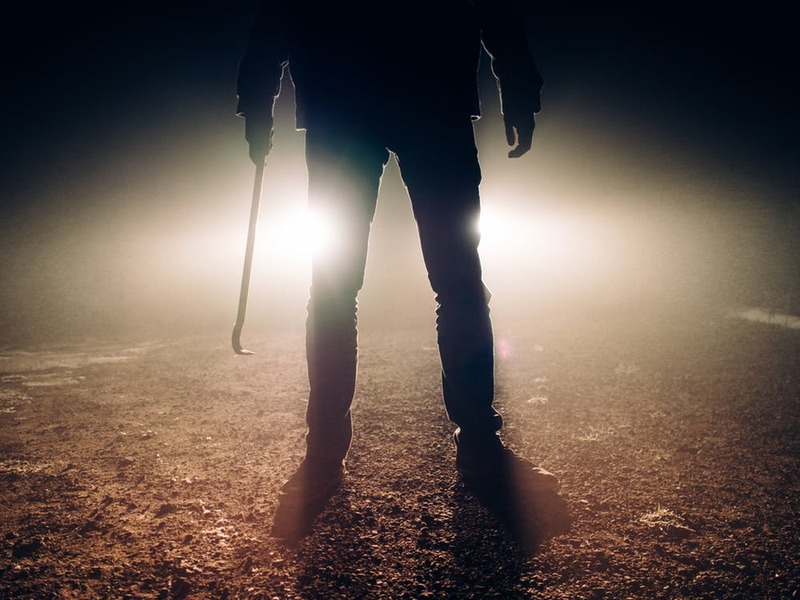 Even if your home isn’t being stormed by armed men in the early hours of the morning, however, burglaries and antisocial acts are plentiful cause for concern. 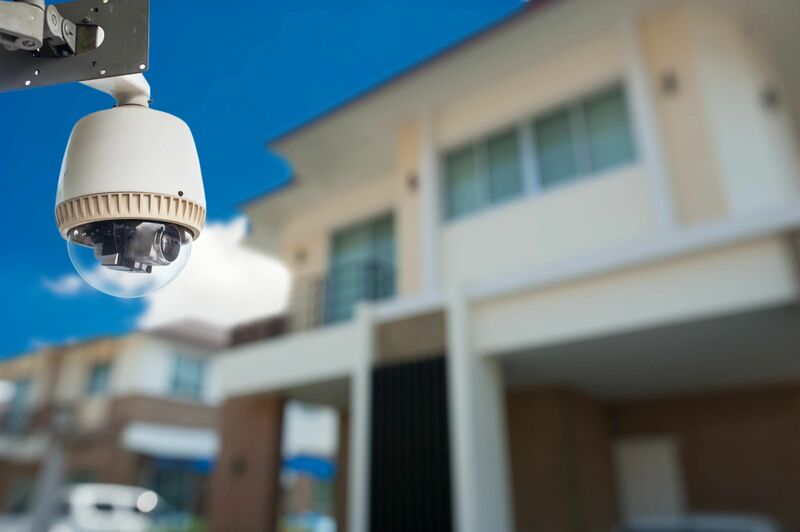 Investing in security camera systems allows you to track and identify suspicious behaviour – such as people checking out your property – and contact the police. The very presence of a camera will also act as a deterrent. “Sick Building Syndrome” refers to assorted health conditions, including respiratory issues, which occur as a result of being exposed to noxious air within an enclosed space. Believe it or not, the air in your home may be poisoning, as assorted dust mite, mould spores, gases from appliances, and other toxins, fill the air. Your water can likewise be contaminated, with plastic bottled water often being contaminated by hormone-disrupting xenoestrogens. Install built-in water filters, and invest in a HEPA air filter, for your health and peace of mind. People are very touchy about the temperature inside their homes. There’s usually a very precise range within which people will feel comfortable, and where the cost of the heating will seem to be justified. Smart thermostat technology, such as the Nest Learning Thermostat, will “learn” your preferences and habits, increase the temperature when you need it, and decrease it when you don’t, in order to save money. With a smart thermostat you can allow your home to adjust itself automatically to your preferred temperature, while saving you money in the process. It’s safe to say that technology is advancing at a rapid pace. In no more than a couple of decades, we went from corded phones to smartphones you can use to chat with your friends and shop online. Still, one of the biggest advantages the age of technology brought us is smart homes. Now you can have devices in your home like a thermostat, security cameras and a TV connected to a system you can control from your smartphone. If you’ve been thinking about making your home smart, here are 4 great reasons why you should go through with it. One of the best things about having a smart home is that it means you’ll have an advanced security system that includes cameras and motion sensors. 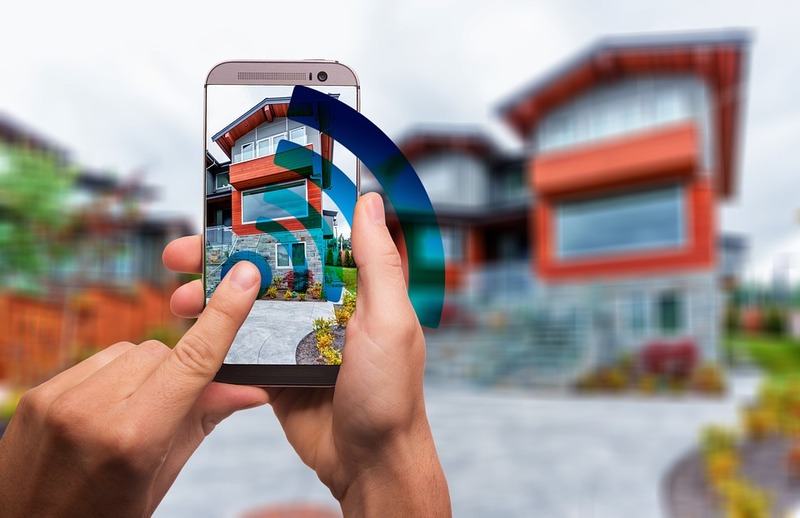 When it comes to cameras, you can connect these to your smartphones, which will allow you to take a look at what’s happening inside of your home when you’re away. 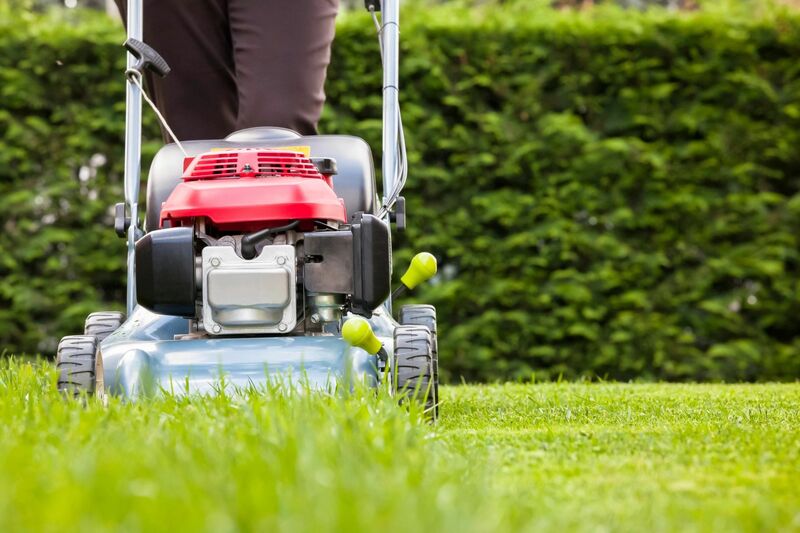 Motion sensors can be set up to send you a notification whenever someone enters your yard. Some smart homes even have fingerprint identification instead of traditional locks, and if you decide to invest in this as well, it’ll be even more difficult for burglars to get inside. 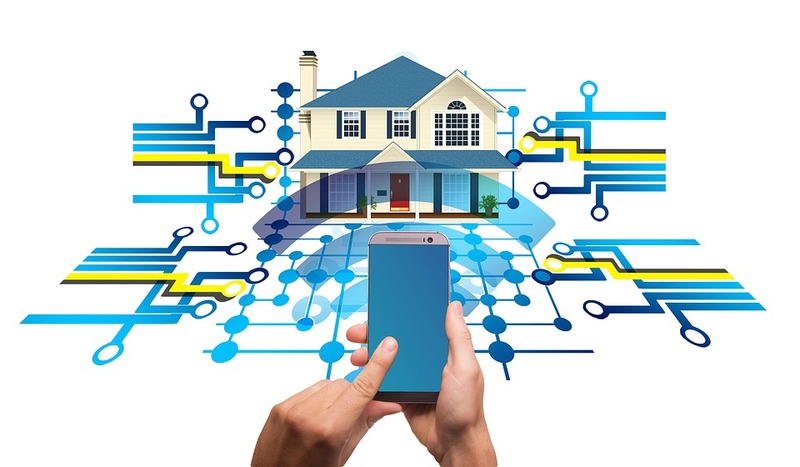 With more and more people deciding to make their homes smart, most new devices on the market can easily be integrated into an existing smart home system. This is a huge plus, mostly because even if you have top-notch devices, it doesn’t mean they’ll last forever, so it’s possible that you’ll need to find replacements at some point. And since you can integrate any new device into your smart home system, there’s absolutely nothing to worry about when making your home smart. Not to mention that there are all kinds of new smart devices being released and you’ll be able to add each of these into your smart home. We’ve already mentioned that by making your home smart, you’ll get to control all of your devices from your smartphone. It cannot be stressed enough how important this is, as it makes your life much easier. Let’s say you’re on your way home from work on a hot day. All you need to do is tap your smartphone and you’ll have your air conditioner turned on. It’s also important to mention that it doesn’t take a lot of effort to make your home controllable from far away as you can have professional CBus installers get the job done for you. If you’ve decided to make your home a smart home, you’ll also get to see all of your devices performing better. For example, by replacing a traditional TV for a smart one, not only will you be able to watch Netflix or YouTube on a big screen, but you’ll be able to connect it to your smartphone with just a few taps. Or, in case you choose to get a smart oven, cooking your chicken to perfection will be a real piece of cake. No matter which smart devices you opt for, your home life is guaranteed to become more enjoyable. Smart homes sure are exciting stuff, and they’re definitely worth investing in. And with more and more homeowners deciding to turn their homes into smart homes, the biggest tech companies out there are giving their best to outdo one another. As a result, there are all kinds of smart devices available and some of these simply have to find their place in of your home. We can only expect to see more of these being released, so make sure you keep an eye on new smart home devices on the market. With the crime rate on a perennial high these days, it is imperative to rely on technology to capture the criminals. Surveillance cameras, CCTV installations and other security cameras installed in your society and the neighborhood locality can help in reducing the crime rate and solve break-ins. Recently, there were quite a few incidents where a burglary attempt was thwarted or when a long-pending crime case was solved, thanks to neighbors with cameras. Listed below are a couple of examples of that happened a few months back. The Vancouver Police Department, bothered by the alarming increase in crime rates in its city, decided to let the citizens know about how they can help each other by reducing break-ins and thwarting burglary attempts in their neighborhood. They urged the citizens to be the eyes and ears of everyone else by installing safety cameras in their places. In a city like Vancouver, there were close to 15 residential break-ins on an average, on a single day, which urged the police to take the help of the citizens. Thanks to these cameras, residents became more aware of what was going on around them. When they noticed people loitering aimlessly in their locality, they immediately alerted the police. The residents also started to take note of suspicious movements of people in their areas by logging on to their cameras frequently. If they found any stranger in the backyard of their neighbor’s homes, they informed the right person and also alerted the police accordingly. Thanks to the huge success of these cameras (also known as Neighborhood Watch or other names), crime rates dropped phenomenally in the Vancouver city. The program was so successful that it was adopted by almost all the neighborhoods in Canada. Through these neighborhood cameras, people began to learn how to make their property and residences less-prone to burglary attempts. In San Francisco, the neighborhood camera technology assumed another level completely. Here, they have created a society-based website, where the residents of that particular society can log in and have a look at what is happening in the backyard/front yard or other parts of their/their neighbors’ homes. Yes, in these cases, privacy does take a hit, but residents are willing to sacrifice it for their safety. When they spot any suspicious activity in any residence of their society, they broadcast a message on the site, so that the concerned person can view the same. The police are called for immediately, and all burglary attempts are thwarted immediately. A two-member team was trying to break into a few cars and homes in San Francisco. The thief, who was seen wearing a wig, was caught on the cameras when he was trying to break into one of the homes. The intruder was caught and handed over to the police immediately, by the citizens, thanks to the technological sophistication of these cameras. The thief was caught sitting in the backyard of one of the homes, and she seemed to be lost or confused about something. Her movements were suspicious, and she was only lazing around the porch without going anywhere. She was waiting for the right time to break-in, probably! When the residents spotted this, they immediately broadcasted the message on the common website and got her arrested. You can ask your trustworthy neighbor, family member, or a friend to come to your house every day for collecting your mail, or you can stop the delivery of newspapers at your place during the time of your vacation. If this is not done, the burglar will realize that your house is empty and nobody is stopping by. It is better if the person receiving the mail or newspaper vary his or her time of coming to your house. If your home is being cased, an intruder will be least likely to break-in as he or she will not know when your friend or family will come to collect the mail and newspapers. You can even put monitored lights on the timers so that they can turn on and off implying the presence of people at home. 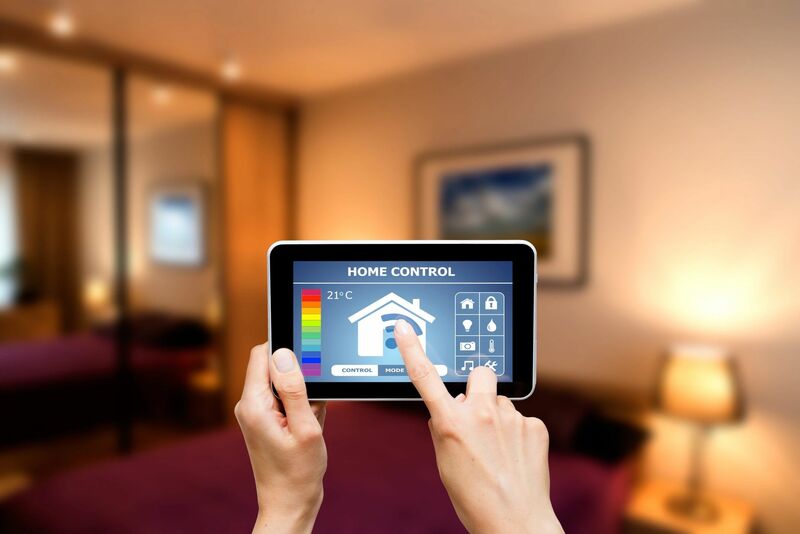 You can even install a home automation system that will allow you to control the lights while you are on your vacation, using your smartphone. Lights turning on and off at different times without being in the same pattern will imply that someone is at home. 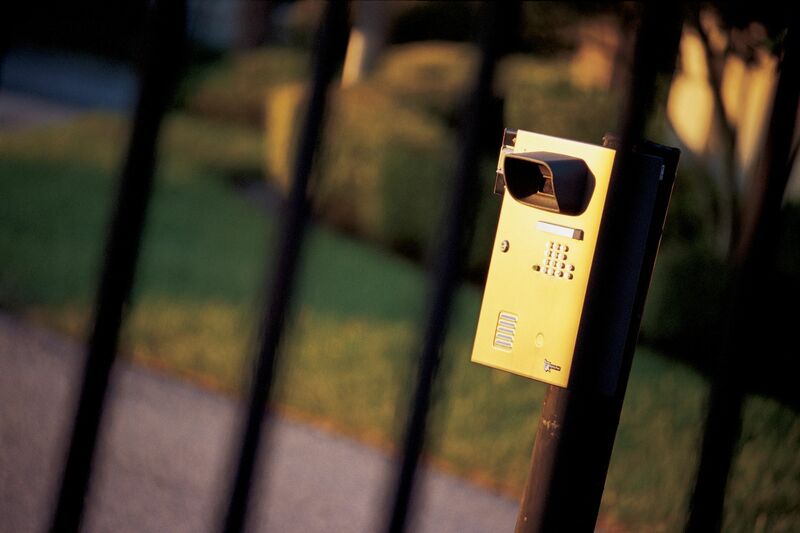 It has been found out that about 60% of convicted burglars have avoided houses that had security systems. If any home security system keypad could be noticed inside a window sticker, the door, or a yard sign, they used to move to some other home that did not have any security system. When intruders wish to get inside your home, they will be more interested if the valuables are seen through the windows. This will help them plan their task quickly. They will first target your bedroom because all valuables including jewelry, money, etc. are kept there. No matter how secure the doors and windows are, valuables should be kept away from outside view. If you do not have a safe, then hide the valuables in places like the soil of any artificial plant, inside the books, etc. Do not ever leave the spare keys in places like under mats, under rocks, or in flower pots. If someone comes to your house to take care of things, give them the spare key. If you have installed a home security system, then give them the password in case the security alarm gets accidentally triggered. But share the code or give the spare key only to trustworthy people. If you go for a summer vacation, then hire somebody to look after your lawn. If you go for a winter vacation, then hire somebody to shovel snow. Don’t keep your property neglected as it is a sign that your home is empty, giving an opportunity for potential intruders to break-in. Ask somebody to throw the trash from your house. As much as we may all love for our homes to run smoothly and always look great, that’s not always the case. Sometimes, you can put an incredible amount of time, energy, and effort into creating the perfect home, for it to all far apart the next day. Because accidents happen! You may take pride in how your home looks, but if you’re not careful about the practicalities of things, you may find that you’re faced with a bunch of issues. Your interiors may be your pride and joy, but they’re only the superficial side of your property. In order for your home to truly look great, you have to take care of the bricks and mortar too! While it’s not always possible to be prepared when issues arise, there are things that you can do to make sure that your home stays as hassle-free as possible. By both doing a little DIY and bringing in the professionals, you’ll be able to keep it together. But first of all, you need to know exactly how you do that. Because it’s only easy to keep on top of things when you know what you’re looking for. So we’re going to take a look at some of the main areas of your home that you need to keep an eye on. When you do, you should be able to keep your home hazards at bay. We’re going to kick off with something that can really impact on how safe your house is, and that’s your foundation. Because if you ever have issues with your foundations, such as basement floor cracks or subsidence, you need to get it look at as soon as possible. Ignoring these problems or writing them off as non-serious could cost you your home. With foundation issues, all it takes is a small shift and you home could end up collapsing! So be sure to get these issues looked into to save you stress and further expenses in the future. From the very bottom all the way up to the top, we’re now going to head to the roof. Your roof may leak for a range of reasons, but you should never just think that’s just how your particular roof is. Because you may find that the leak is a huge problem and it could cause the structure to weaken over time. If you’re worried about the source of the leak, bring a professional in to analyze the area to make sure its safe and carry out the repairs. Another place that can commonly get leaks in the home is your bathroom. A lot of the time, these leaks are more annoying than anything else. But if you find that you have a leaky faucet or pipes anywhere, you’ll want to get a plumber in to check the source. Sometimes, a small leak will cause a pipe to burst and your bathroom to flood. But you can avoid this by getting it looked at. If you have a boiler in your home for your heating system, you’ll probably always be weary of this breaking – because nobody wants to be without hot water. If you’re worried about issues, take a look at the most common boiler problems so that you can take action as soon as something happens. Reading up may save you money too! Heading into the kitchen, if you find that any of your major appliances seem to be on the blink, do not just put it down to age. Remember, these items are electrical items – so that use water! Whether they’re just not working properly, you’ve got issues with lights, or anything – unplug the appliance and get it repaired. You could stop someone from getting hurt by doing this. A less serious, but equally frustrating, issue around the home is drafts coming through your windows and doors. Sometimes, you’ll find that they can be fixed easily with covers, but you may need to get them replaced. You could end up paying more on your heating bills when you live with drafty doors and windows. During the winter months, there’s nothing quite like lighting a fire for comfort and warmth. But when the chimney just doesn’t seem to be drawing strongly enough, it can be incredibly frustrating. That’s not all, when you can’t seem to get the fire going as strongly as you’d like, you’re likely having chimney airflow issues that need sorting. Sometimes, a good old clean is all it needs, but be careful about lighting too many fires when the smoke can’t clear, as this will be a health hazard. It’s easy to forget about opening little windows around the home to keep the air flowing – especially when it’s cold outside. However, when you’re not ventilating your rooms, you may find that mold and mildew tends to set in! This can then really affect your health, and it can cause issues with the structure of your home too. So open those windows and if you do have some mold and mildew setting in, get a professional in to remove it and reinforce the walls. When your find that one of your main entrance doors is having a few problems locking properly, you always think that you’ll get it looked at – but you really do have to do this now! If you leave it, you may risk a break in. Securing your home is incredibly important if you want to keep your family and possessions safe. Finally, you should always look to be weary of faulty electrics. If you ever notice that fuses seem to blow frequently, or you’re having electrical issues with any plug or appliances around the home, call in your electrician. It’s important that you get these taken care of as soon as possible so that no fires are caused as a result.